Adobe Photshop Elements - Less than $40! Adobe Photshop Elements – Less than $40! 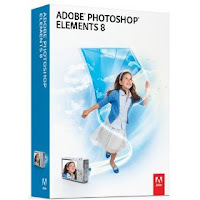 Here is a GREAT deal on Adobe Photoshop Elements 8 — but it is only good today 12/11! First, you can get it for $62.99 through Amazon. If you use your catch phrase, you’ll get 5% back. Then, look carefully under the price, you’ll see a link for a $20.00 rebate. In addition to the great discounts/rebates, you will also get free shipping! When all is said and done, you’ll pay only $39.84 after all discounts and rebates!